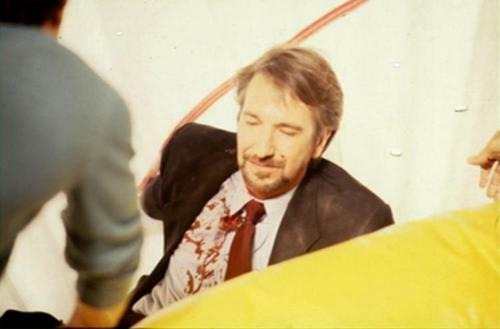 Die Hard - Behind the Scenes. Behind the scenes image from Die Hard.. HD Wallpaper and background images in the Alan Rickman club tagged: die hard alan rickman hans gruber behind the scenes. Even with blood on him, he's hot! !